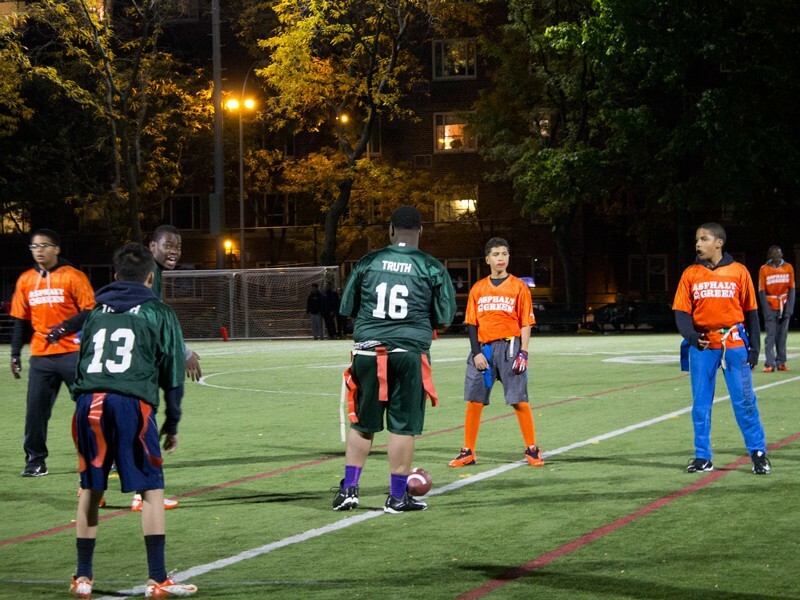 The energy at our Upper East Side field was electric Saturday night for our second annual flag football Community Sports League pep rally, sponsored by PepsiCo. 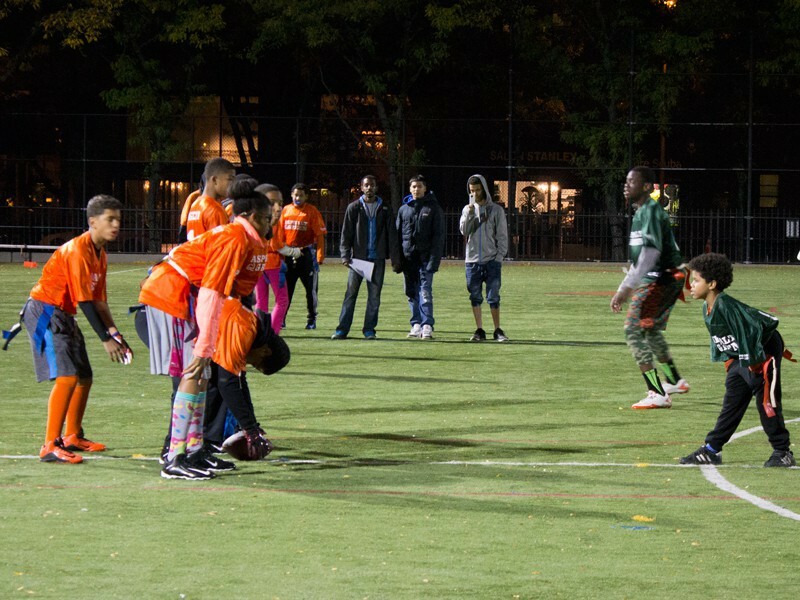 We welcomed 12 teams from our Community Sports League and their families for a fun evening of flag football. The pep rally celebrated the hard work the athletes have put into the season. 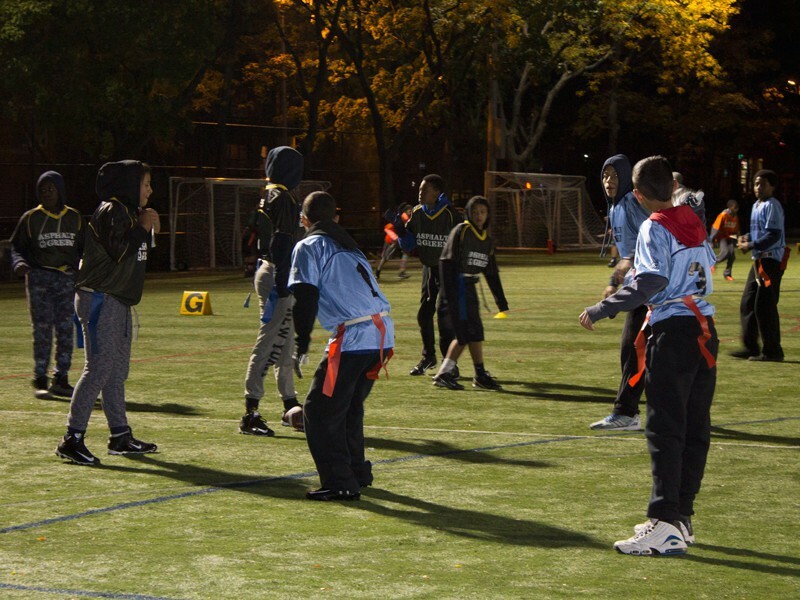 Since 2009, our free Community Sports Leagues have given middle school children the opportunity to play on an organized team. 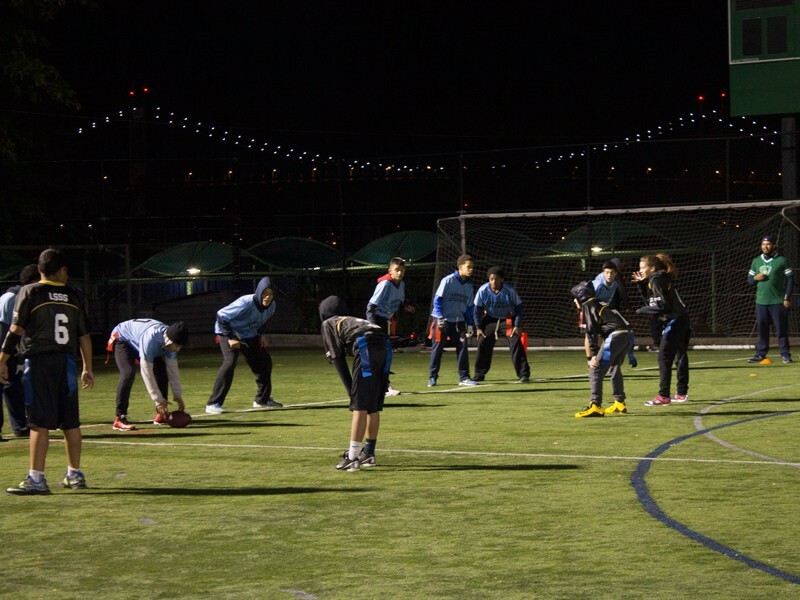 Upbeat music combined with the action on the field kept the crowd of over 150 people entertained. Cheers could be heard from end zone to end zone, as spectators were given noise makers, pompoms, and signs to encourage their team. 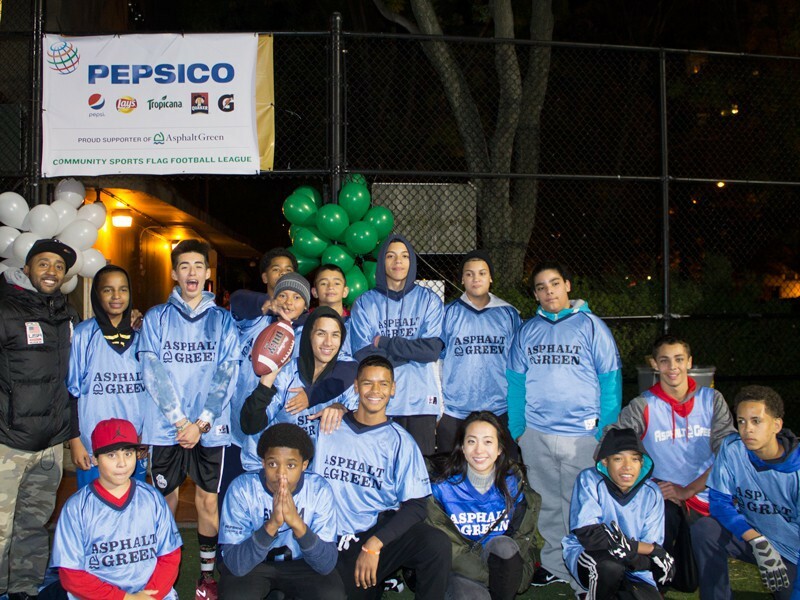 PepsiCo provided fuel to keep athletes’ and spectators’ stomachs smiling all night long. Refreshments included Gatorade, Aquafina water, Quaker Chewy Bars, and Frito-Lay Chips. 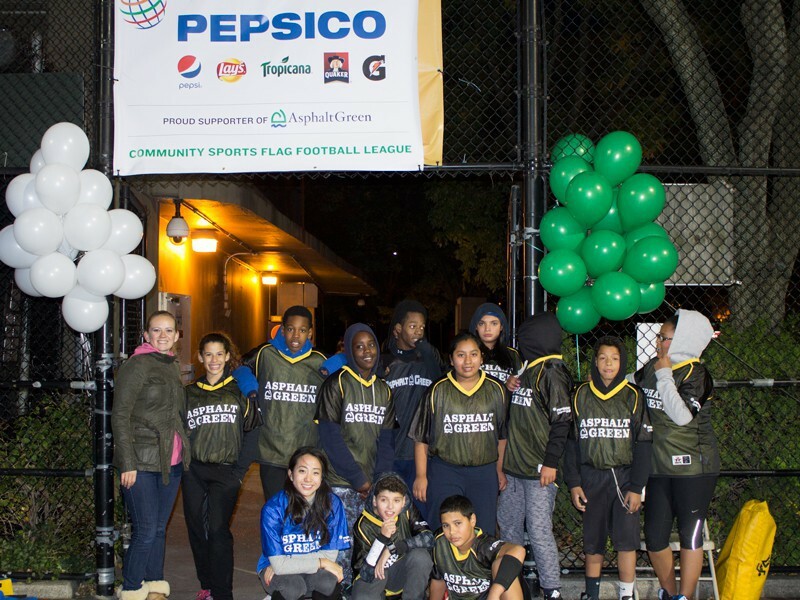 Congratulations to all our Community Sports League participants, and a huge thank you to PepsiCo for their continued support. See you on the field!